What are penny stocks? What are the precautions to be taken before investing in them? As the name indicates, penny stocks are the stocks worth less thanRs10 in the Indian stock market. Penny stocks are highly volatile in nature and have a small market capitalization. These stocks are considered to be highly risky due to certain factors like liquidity, smaller number of shareholders, large bid-ask spreads and limited disclosure of information. Trading in stocks itself comes with a certain amount of risk and it is more so in the case of penny stocks. While investing in penny stocks can give you profit,it can also result in a substantial amount of loss in some cases. Below mentioned are some precautions, which an investor should take before investing in penny stocks. It is difficult to get proper information about smaller companies, as they do not file their information disclosure with the stock exchanges, and there is not much information available in the outside circles as well. Proper research is a key to successful investing in a particular penny stock. Penny stocks carry less liquidity, and this element is a doubleedged sword. The first issueis sourcing a buyer, as it is difficult to find a buyer for such stocksdue to its high volatility rate. The second problem would be the pump and dump strategy where the price of the stock is inflated when an investor buys a significant amount of capital, thereby creating a smokescreen where the stock is escalated and then sold to investors who find it attractive. While trading in penny stocks, it is a prudent move to find and trade in the stock with a credible background like a start-up or a small business with good financial history. Find the gem in the rubble and invest in those stocks. Hold on to those stocks and wait till there is a positive growth in the company or till there is a suitable buyer. Never get attached to the stock on the belief that it may suddenly rise. Once a suitable buyer is available, the penny stocks should be sold so thatthe investor can get back their invested money along with some profit. Even though trading in penny stocks is quite risky, there are investors who benefit from trading in penny stocks, as it is their occupational income. When investing in penny stocks, research and know the maximum possible information and then take the decision for investment. Believing the hype is not the right way to go about when buying penny stocks. Many spam emails entice investors to invest in the penny stocks. Beware of these emails and try to get the actual data to know the exact state of the advertised penny stock. Many companies that are floating penny stocks would be newly formed companies or businesses nearing bankruptcy. This factor leads to poor track record or no track record at all (if a newly created company). This lack of history leads to the failure of determination of stock’s performance in the market. Penny stocks are traded in the secondary stock market where there is a minimum requirement for submission and filing of documents. The penny stocks are often traded over-the-counter through the OTC Bulletin Board (OTCBB) and pink sheets. The pinks sheets have no such requirements and minimum safety standards. These standards guarantee a certain level of security to the investors. 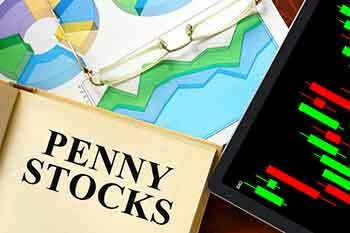 Before investing in penny stocks, it is prudent for the investors to go through the above mentioned points, as penny stocks carry high risk and volatility, notwithstanding high returns.